Two of China's largest digital payments services, Alipay and WeChat Pay, have issued a warning that hackers are using stolen Apple IDs to steal money from the people's accounts. Alipay has informed Apple "“multiple times” to consider the matter and remove the flaw, but the issue has not been resolved till now. 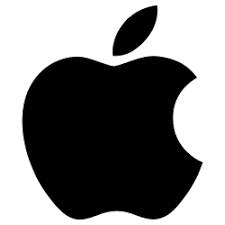 On their social media page, they have advised their customers who have linked their accounts with their Apple IDs to lower transaction limits. “Since Apple hasn’t resolved this issue, users who’ve linked their Apple ID to any payments method, including Alipay, WePay, or credit cards, may be vulnerable to theft,” Alipay wrote. According to the Apple website, an Apple ID is used to access Apple services such as its App Store and iCloud. It has stored user's email address, password and payment details. However, the extent of the issue isn't clear. Investigators have to find out that whether stealing of cash was due to a flaw in Apple's ID systems or as a result of the theft of users' Apple ID credentials. It is to be believed that Apple is planning to refund the money.